Base Hotels is a 2-Star hotel located at No 33, NTA road, Mgbuoba, Rumuokwuta, Port Harcourt. Rooms at the Base Hotels come in the Single Suite, Single Unit, Double and Double Suite categories. 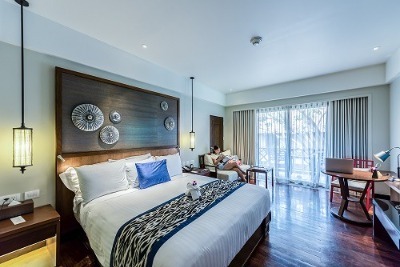 Each room boasts of facilities such as flat screen television set with access to a wide variety of local and international channels, wardrobe, air conditioning, armchair and table, ensuite bathroom and shower plus a refrigerator. Base Hotels offers guests excellent hotel services and amenities which include: Adequate parking space, stable power supply, guaranteed security, restaurant with a menu of finger-licking delicacies, outdoor bar, concierge and laundry services plus taxi shuttle to convey guests to and from the hotel premises. Children: Free lodgings only if they are below the age of 10. Q: Does Base Hotels offer shuttle services? A: Yes. It offers such services. Q: Is there a restaurant at Base Hotels? A: There is a restaurant available at Base Hotels which offer excellent tasting dishes. Q: Is there a swimming pool at the Base Hotels? A: No, there isn't a swimming pool available at the Base hotels. Q: Are there concierge services available to guests at the Base hotels? A: Guests at Base hotels are availed of the services of a professional concierge. Q: Does Base Hotels offer free Wi-Fi? A: Yes, it offers free Wi-Fi to guests. Base Hotels is an affordable hotel in Port Harcourt, Rivers. The people I met at the hotel were really wonderful, the service was incredible and the meals where great. I ate just twice but the meals were delicious. I must say that it's a place to relax, have fun and the staff will make you feel at home. I look forward to staying longer during my next visit or even plan an holiday time. My stay at Base Hotels was very okay. The hotel staff is very effective. I really enjoyed the meals at the hotel, the room was very spacious and comfortable. I did not enjoy my stay during the day because there was never light and the generator was never turned on. Asides this, I think I had a nice time at the hotel and I would really want the hotel to work on the power supply. Have nice pictures of Base Hotels ?